Twenty-one year-old Jillian Nichols only has one rule when it comes to boys: catch and release. Boy-catching isn't just a game for Jillian and her friends, it's a lifestyle. After all, boys might be good for a dance or a drink and certainly a little under-cover action of the scandalous variety, but expect much else and you're bound for heart ache. So when her best friends and fellow boy catchers start dropping like flies junior year, Jillian is determined to keep boys in her bedroom and out of her heart. Until she meets Liam McAvoy, the kind of guy that sticks around to make waffles and who can't—or perhaps won't—take a hint. Study abroad student Liam doesn't want to be another notch on Jillian's bedpost. Actually he has much more interesting ideas for Jillian and her bedposts, but his student visa's set expiration date means he can't promise her forever. That doesn't mean he's going to walk away from the challenge of discovering why Jillian is hell-bent at keeping people at a distance. Before long, neither is sure who is catching who—or if they're playing for keeps. Jillian knows one thing though: falling in love will not only break the only rule of boy-catching, it could also break her heart. 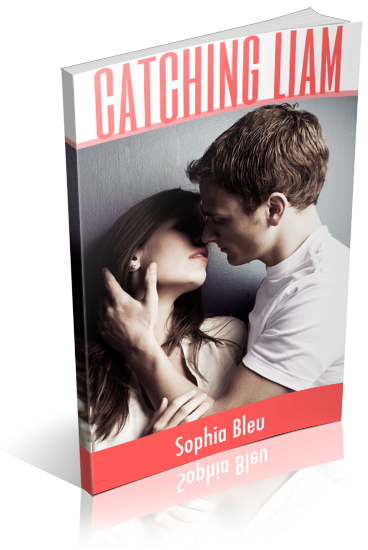 I am organizing a book blitz for Catching Liam by Sophia Bleu, a New Adult contemporary novel. The blitz runs from July 8th to July 12th, you can post on any day during this window. There will be excerpts and interviews/guest posts available for your post, and every participant will be able to host a giveaway for a swag pack (sticker and magnet) - giveaway items courtesy of author.